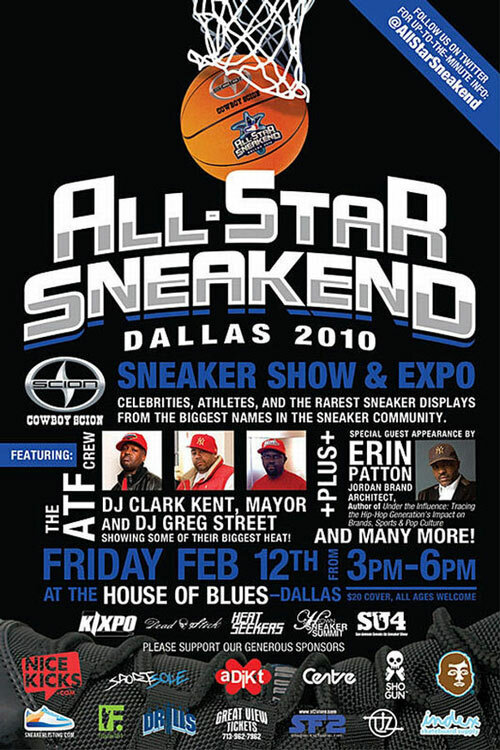 All you sneakerheads get ready for today's All Star Sneakend in Dallas! It's a sneaker show and Expo with some dope special guests so if you in TX roll thru and see wassup! "The All Star Sneakend kicks off the most celebrated weekend in sneakers with a unique & exclusive Sneaker Show & Expo Celebration featuring Celebrities, Athletes, & Some Of The Biggest Names in the Sneaker Community." Wish I wasn't in this crappy weather picture time!